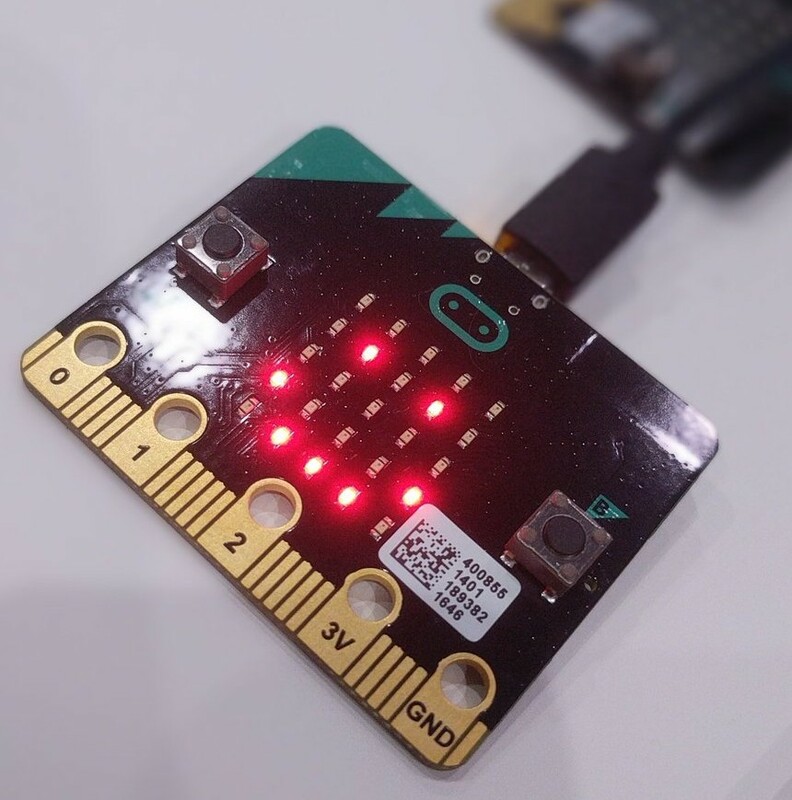 Are you interested in the BBC micro:bit but not sure what equipment to buy? Here's some recommendations! You can order individual/small quantities from approved resellers. Check the shipping policies to see if they ship to your country. If they are out of stock at this link, they are often available from local resellers in Australia, see list of resellers above. An almost ready-assembled robot (requires nothing more than a screwdriver to complete it). Programmable with the micro:bit. These work quite well out-of-the-box. Grove Zero micro:car https://www.littlebirdelectronics.com.au/grove-zero-bit-kit-micro-car Designed as a stand-alone robot, or can be integrated with the Grove Zero sensors. This is a new product! We haven't tried it here at Grok but we've heard that it's pretty resilient and has enough features to keep the students engaged – so does the BitBot, of course. https://shop.4tronix.co.uk/collections/bit-bot/products/ultrasonic-distance-sensor-for-bit-bot-bitbot Recommended if you purchase a Bitbot. Allows you to read the distance to an obstacle, then program your Bit:Bot to avoid it. https://shop.4tronix.co.uk/collections/bit-bot/products/anglebit-turn-your-bbc-micro-bit-by-90-degrees Recommended if you purchase the distance sensor above, to allow access to the micro:bit even when the sensor is plugged in. This adaptor lets you change the orientation of your BBC micro:bit from horizontal to vertical, and you can insert the micro:bit either way round. Multi-coloured LEDs AdaFruit (or resellers in Australia like Little Bird, Core Electronics, Tronix Labs, etc) sell the "DotStar" and "NeoPixel" branded strips. 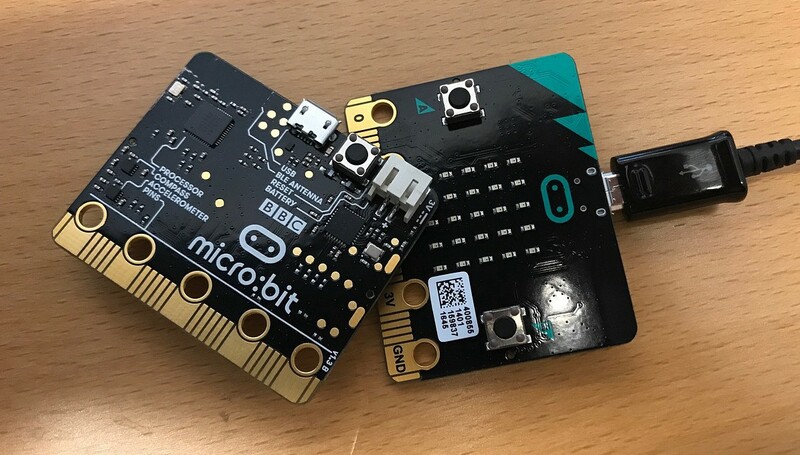 Or buy the "micro:pixel" or "micro:pixel edge" from Proto-PIC ( https://www.proto-pic.co.uk/micropixel-4x8-ws2812b-board-for-bbc-microbit.html and https://www.proto-pic.co.uk/micropixel-edge-for-microbit.html) They commonly come in pre-made strips (often on self-adhesive backing). These are super cool because you just power them and chain them together send serial data to the first one - only one pin for WS2812B (asynchronous serial) and two pins for APA102C (synchronous serial / SPI) for up to hundreds of LEDs. The micro:bit MicroPython firmware has built-in support for WS2812B (via `import neopixel`). Can be used with the Bit:bot. Note: the WS2812B are designed to run on 5V, but the micro:bit is 3.3V, so in our personal experience they can be a little bit unreliable. https://www.littlebirdelectronics.com.au/sparkfun-soil-moisture-sensor-with-screw-terminals Soil sensors for gardening: these are one of the simplest sensors because they're just a variable resistor, so will work on several (but not all) of the micro:bit pins. To attach the Sparkfun sensor you can cut some alligator cables in half, and screw them onto that and use the alligator end to connect to the micro:bit. Also check out the micro:bit ideas from Kitronik - lots more to choose from! Have you tried any of the above equipment? Do you have suggestions, comments, or additional information to add? Get in touch and email support@groklearning.com, we love hearing from you!